IFA kicks off in just a couple of hours, with Samsung highlighting the day 1 festivities through a 3-city Unpacked event. 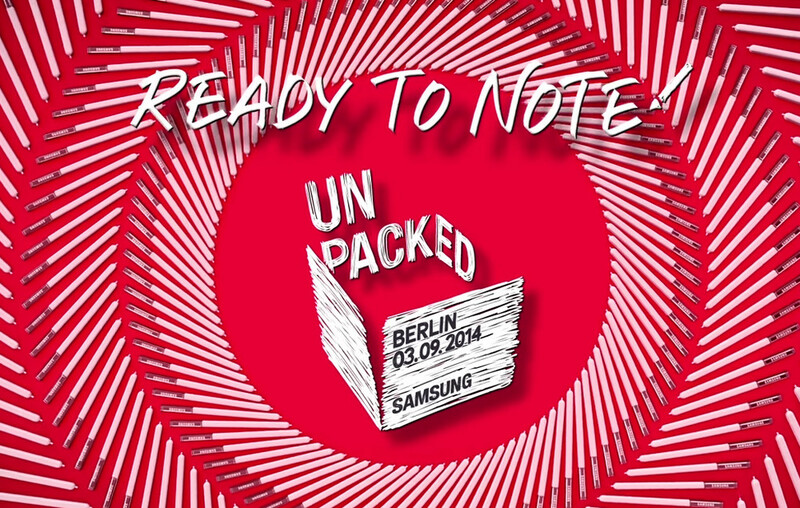 They are unveiling the Galaxy Note 4, there is no denying that. Each Fall, Samsung brings us a new device in the oversized-phone-we’re-basically-in-tablet-territory category that they created years ago. The device is currently rumored to carry a 5.7-inch QHD display, metal casing with chamfered edges, Snapdragon 805 processor, 3GB or 4GB RAM, 16MP camera, and a brand new S Pen. We would be shocked if Samsung didn’t use its standard physical home button setup, with recent apps and back flanking it, as well. By all means, this will be another flagship device that will make Note cult members proud. Tim will be on hand for the happenings in New York City, bright and early at 9:00AM Eastern (6:00AM Pacific). We will have a live stream embedded below for all to watch, along with a live blog so that you can read our thoughts in real time.